Codemasters and Deep Silver have released a trailer showcasing the eight unique vehicle classes in Onrush, the action-packed arcade racer which will smash its way onto the PlayStation® 4 computer entertainment system and Xbox One the all-in-one entertainment system on 5th June 2018. · RUSH – Firewall: RUSHing leaves a destructive trail of fire scorching the earth behind. · ABILITY – Crashbang: Your Tombstones are blinding when collected by opponents. · TRAIT – Tumbler: Earn RUSH directly from front and back flips. · RUSH – Drain: RUSHing drains boost from all opponents in range. · ABILITY – Slam: Heavy landings trigger a shockwave that makes nearby enemies vulnerable. · TRAIT – Show-Off: Earn RUSH directly from performing tricks. · RUSH – Turbulence: RUSHing leaves a disruptive wake of turbulent air behind. · ABILITY – Touchdown: Timed boost landings are more effective. · TRAIT – Spiral: Earn RUSH directly from performing barrel rolls. 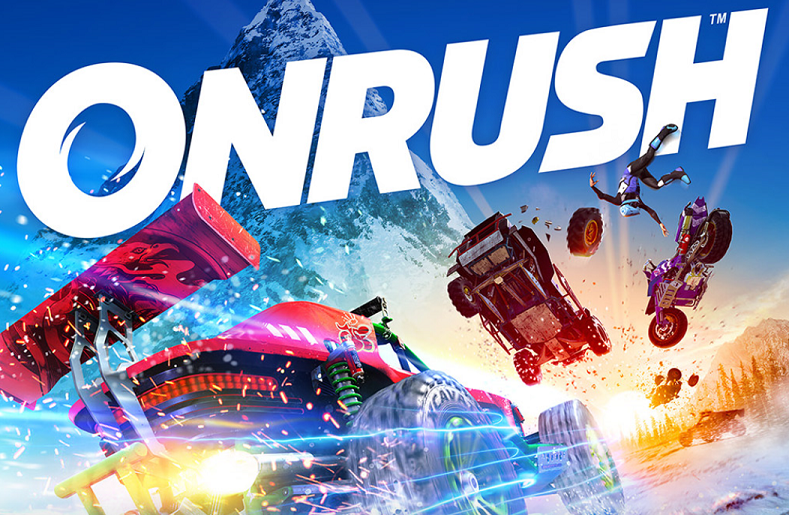 · RUSH – Bulldoze: Plow through opponents with a physically larger RUSH effect. · ABILITY – Airstrike: Improved magnetism on in-air attacks. · TRAIT – Daredevil: Earn RUSH from driving near enemies. · RUSH – Rampage: Refill your RUSH gauge with successful takedowns. · ABILITY – Surge: Initial boost usage is more powerful but more costly. · TRAIT – Pinpoint: Earn RUSH directly from performing near misses. · RUSH – Energize: RUSHing supplies nearby teammates with boost. · ABILITY – Restock: Drop boost pick-ups for your team by boosting. · TRAIT – Unite: Earn RUSH directly from driving near teammates. · RUSH – Blockade: RUSHing drops a trail of blockades that slow your opponents down. · ABILITY – Shield: Give nearby teammates a shield that offers protection from big hits. · TRAIT – Impact: Earn RUSH directly from taking down opponents. · RUSH – Blackout: RUSHing blinds any opponent following behind. · ABILITY – Shutdown: Hit opponents to temporarily disable their boost. · TRAIT – Bully: Earn RUSH directly from taking down fodder. Codemasters, the award winning video game developer and publisher, has a 30 year heritage. With titles distributed globally, Codemasters is a leading developer and publisher of driving and racing entertainment games including DiRT, GRID and the official BAFTA award-winning FORMULA 1 series of videogames. The company is fully controlled by Reliance Big Entertainment Ltd. (RBEL). For more information on Codemasters’ product portfolio, please visit www.codemasters.com. Join in the conversation with @codemasters on Twitter or Like us on Facebook at www.facebook.com/codemasters.